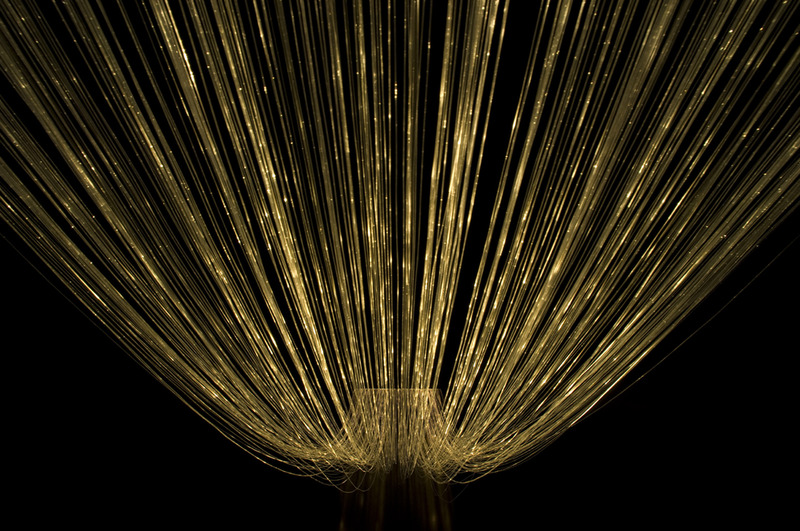 0100101 - Fibreoptic sound installation series by Hilde Hauan and Maia Urstad. Lydgalleriet Bergen. Photo: Thor Brodreskift. SOUNDBARRIER at the exhibition "Disturbances", Johannesburg Art Gallery. THE RETURN OF THE PRIME MERIDIAN, permanent installation at Kongsvinger Fortress 2016, Norway. Reseach residency at ISIS Arts, Newcastle. Commission works for The Lake Radio, premiere event on 9 January 2016 at Nikolaj Kunsthal, Copenhagen. YELLOW 16, commissioned sound work for a department of Herdla Museum at the Askoy island north of Bergen. Permanent work, launched 2010. SPRANG, version USF, Visningsrommet USF, Bergen. Photo: Thor Brodreskift.